This 1920 Quakertown High School football team managed a fine 7-4 record under coach Jake Stoneback, despite an unsatisfactory high school athletic program. Stoneback and Earl A. 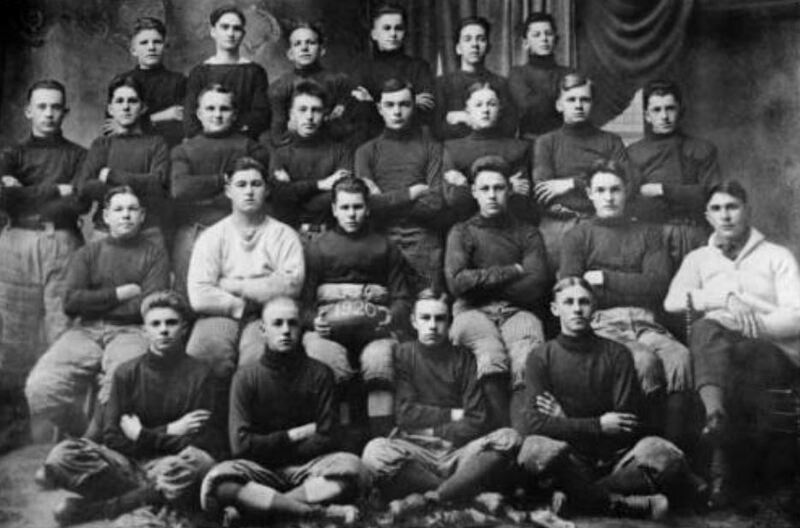 Ball reorganized Quakertown High School athletics the following year, and the 1921 football team won the Bucks County championship. Lettermen on the 1920 team were Dwart Stover, Harold Stover, Charles Reinhart, Raymond Bortz, Wesley Dietz, Oswin Rufe, Reginald Beaford, Frederick Fisher, Stan Moyer, Elmer Lohman, Manasseh Hager, Joe Person, Morris Slifer, Loyd Lobb and Arthur Kelly. On Saturday October 9, 1937, more then 1300 people participated in a parade and athletic games when Quakertown High School's new $20,000 athletic field on Seventh Street was dedicated. 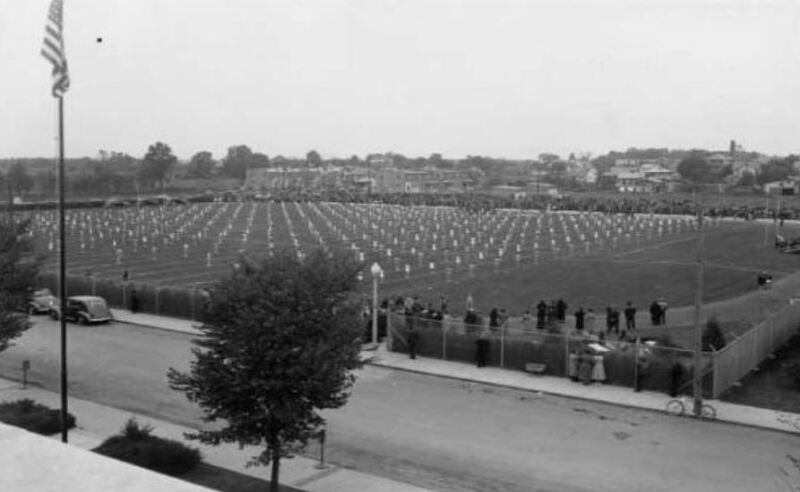 More then 700 high school students gathered on the field for a display of calisthenics under the supervision of John O. Barth and Dorothy Hoyt. The main speakers were Gen. Smedley D. Butler, commander in the U.S. Marines in World War I.
Harness racing events were part of the entertainment provided at the annual fair held at Lulu Park, now the location of the Quakertown Senior High School campus. Local jockeys and jockey wannabes competed for cash prizes. In 1900, the purse for the main horse race was $48, a godly sum at the beginning of the 20th century.